A workflow consist of independent tasks performed in particular sequence determined by dynamic conditions. Very often a workflow represents a business process, for example the order processing steps in a ecommerce store. At the end it works, but overcoming these technical challenges takes as much time as writing the actual code that delivers the business value. In SWF terms, a workflow is the actual template that describes the distinct steps a process should follow. And a workflow execution is one run of this template. Starter - the process that can start, stop and interact with a workflow execution. Decider - the process that orchestrates and decides what is the next step of a workflow exection. Worker - a process that executes a tasks from a specific type. SWF Console - provides full visibility and control of the execution. An example workflow execution can go through the following steps: a starter starts a workflow execution, SWF receives it, asks the decider what is the next step, then based on the decision passes the task to an appropriate activity worker. Once the result from the activity worker is received SWF asks the decider again for the next step, and depending on the response may execute another worker or not. This flow continues till the decider replies that the workflow is completed. You can see how the decider orchestrate each of the steps of the workflow and the activity workers perform the individual tasks. All that is managed by SWF and auditable at any stage. Why use Camel? The amazon provided Java clients work by using annotations to generate proxy classes to access SWF services. The whole process of generating and using proxy classes combined with the dependency from the starter to the decider, and from the decider to the activity workers is not very joyful. And what can be better than using a Camel route for orchestration and another route for the actual activity worker? The result is a Camel SWF component that is in Camel master now. 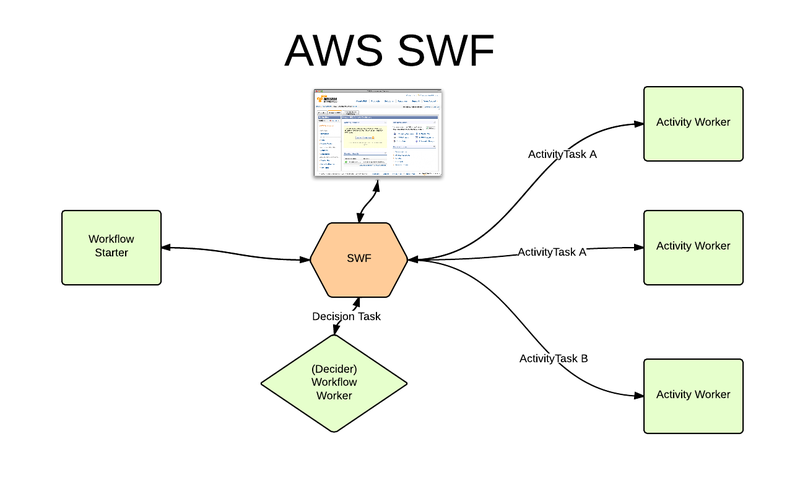 Camel-swf component has two types of endpoints: workflow and activity. 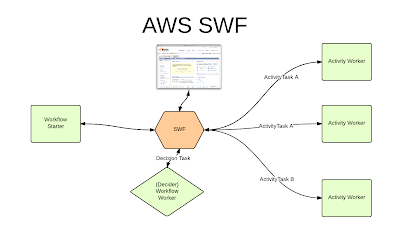 So any SWF application consist of a starter(workflow producer) that starts the execution, a decider (worfklow consumer) that receives decision tasks and schedules activity tasks (using activity producer) and the activity workers (activity consumer) that performs the tasks. 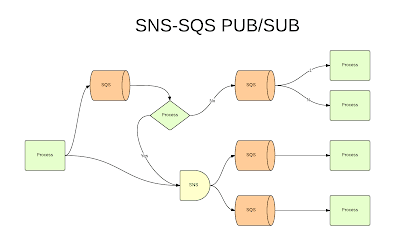 And the communication between these endpoints is asynchronous, consistent and managed by SWF service. 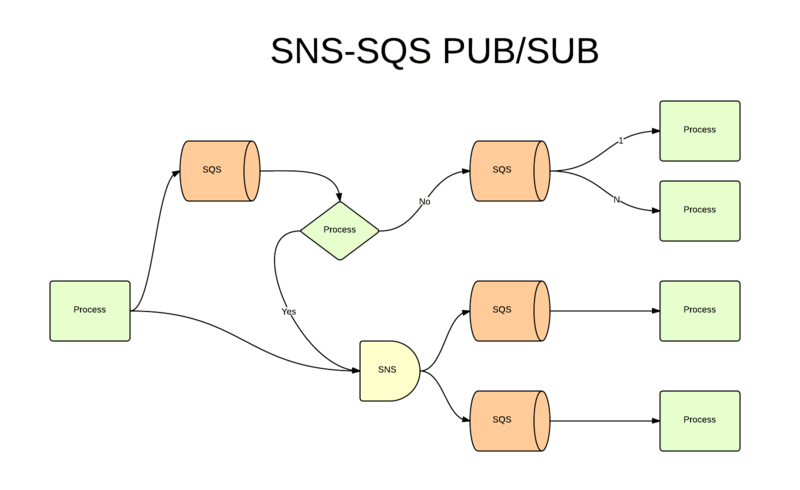 It is not the easiest component to use, but it pays off with a simple and scalable architecture. PS: Thanks to my ex-manager S. Wheeler for letting me contribute this component back to the Camel community.